I’ve just submitted my revised manuscript to the publisher so now seems the right time to announce here that The Emergence of the Fourth Dimension, the book that has itself emerged from the research blogged about here, is contracted to Oxford University Press. I hope we’ll see it in physical form sometime next year (2016). Avanti! Please come along if you’re around and interested. This work runs on from a piece I wrote earlier this year for the LRB website and is the first element of a new project-in-progress on geometric form. Investigating the relationship between the work of J.G. Ballard and Robert Smithson, focusing on their mutual interest in spirals, this session will work outwards from consideration of this naturally occurring and geometric form. Having established a set of readings of spirals from divergent bodies of thought and practice – geometry, art history, cosmology, anthropology – and engagements in the work of contemporary practitioners – Tacita Dean and Tom McCarthy – it will move on to consider what work form does in Ballard and Smithson, the benefits and pitfalls of adopting an inter-disciplinary apparoach to reading the forms encountered therein, and what occurs in the passage between literary and visual cultures. The new issue of 19, in which my essay ‘The Higher Spaces of the Late Nineteenth-Century Novel’ appears in some highly esteemed company, has just gone live. Many thanks to all those at 19 who worked on the issue! Read it here. I successfully defended my thesis at the end of June so I have ammended the title of this blog to reflect the fact that it no longer relates to a work-in-progress, although, in truth, when is a work like this ever really finished? I’m working to propose a revised version of the project as a book to scholarly publishers and will continue to post related materials here. I also hope to put together a reader of cubic materials, for which I think there would be an audience. In the meantime, the most useful thing I think I can post here is my completed bibliography, a resource for anyone else looking at higher space and dimensionality. Like many scholars, I should imagine, the bibliography is the section of any book I first read, so let’s cut to the chase! A great deal of these are available online, and if I ever find myself languishing in airport transit lounge, Snowden-like, with wi-fi and time to kill, I might make some of these hotlinks. (BTW, if you spot errors in this bibliography, TOO LATE! The deed is done. But I’d be most grateful if you’d bother me with your eagle-eyed pedantry so that the errors don’t creep forward into any print project). Cayley, Arthur, ‘Chapters in the Analytical Geometry of (n) Dimensions’, Cambridge Mathematical Journal, 4 (1843), 119-127. Engels, Friedrich, ‘Natural Science and the Spirit World’, Marxists.org, <http://www.marxists.org/archive/marx/works/1883/don/ch10.htm> [accessed 9 February 2012] (repr.of Illustrierter Neue Welt-Kalender für das Jahr 1898). – ‘On the Education of the Imagination’ in Scientific Romances: Second Series (London: Swan Sonnenschein, 1896) pp. Klein, Felix, ‘Ueber der zusammenhang der flachen’, Mathematische Annalen, 9 (1876), 476-482. Sidgwick, Mrs. Henry, ‘Results of a Personal Investigation into the Physical Phenomena of Spiritualism with some Critical Remarks on the Evidence for the Genuineness of Such Phenomena’, Proceedings of the Society for Psychical Research, 4 (1887), 45-74. – ‘“On the Eve of the Fourth Dimension, Mathematical and Spiritualistic”’, Review of Reviews, 7 (1893), 542. – ‘Making an Issue of Cultural Phenomenology’, Critical Quarterly, 42 (2000), 2-6. Most visitors to this blog – and, indeed, to my academia.edu profile – come seeking Charles Howard Hinton and his system of cubes. No surprises there. 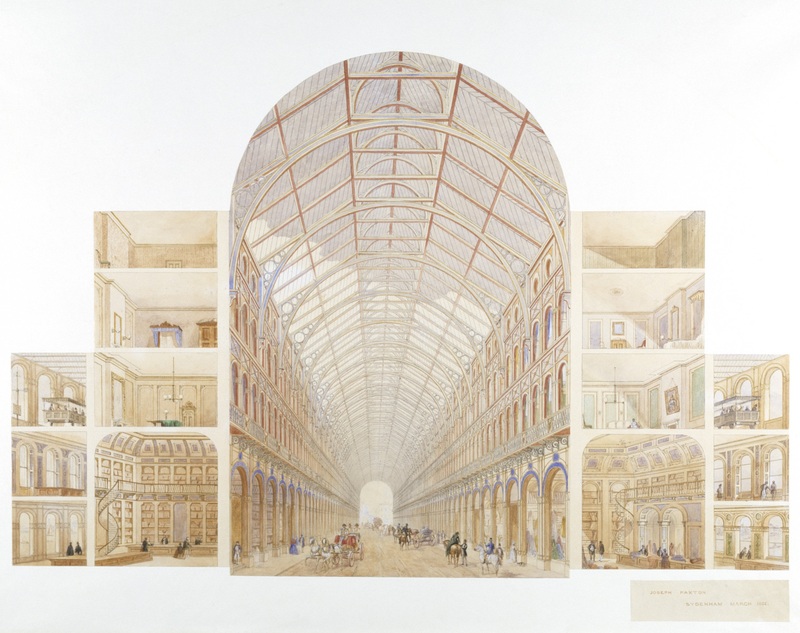 Hinton’s biography is quite something and his work on visualising – or, perhaps more accurately, imagining – the fourth dimension of space was innovative, influential and almost completely out of its time. 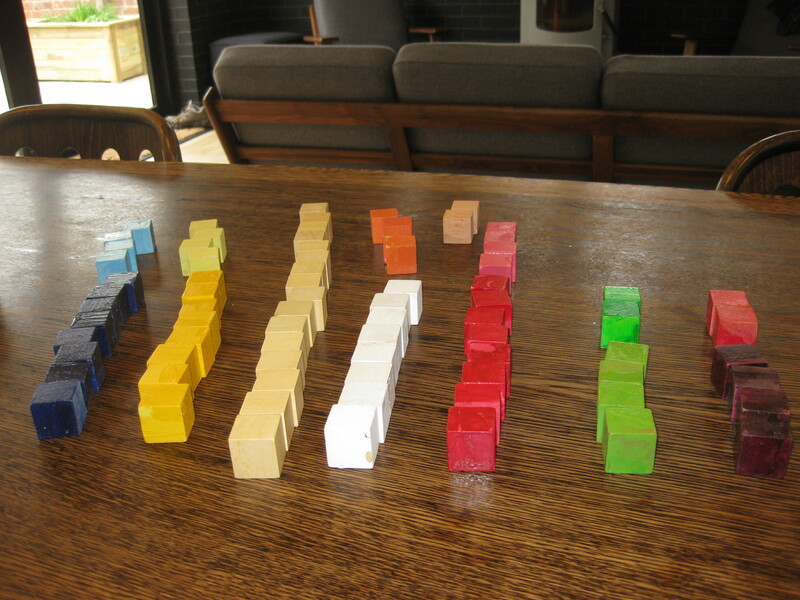 The purpose of this post is to update a project I began almost four years ago and am only really now in a position to continue: the construction of a set of Hinton’s cubes, the material demonstration models that anchored his pedagogical enterprise. Hinton began working with cubes early in his career. The essay ‘On the Education of the Imagination’ (1888) may well have been written before ‘What is the Fourth Dimension?’ was first published in 1880. In this he describes working with a system of cubes with his school students, and he began teaching in 1876. The system is also based on what he termed ‘poiographs’ in a paper presented before the Physical Society in 1878, so it seems likely to have been a foundation stone for his project. Certainly, his proficiency with it was advanced by 1887, when he was able to claim that he’d memorised a cubic foot of his named cubes. He refined the system of cubes over the course of his career. 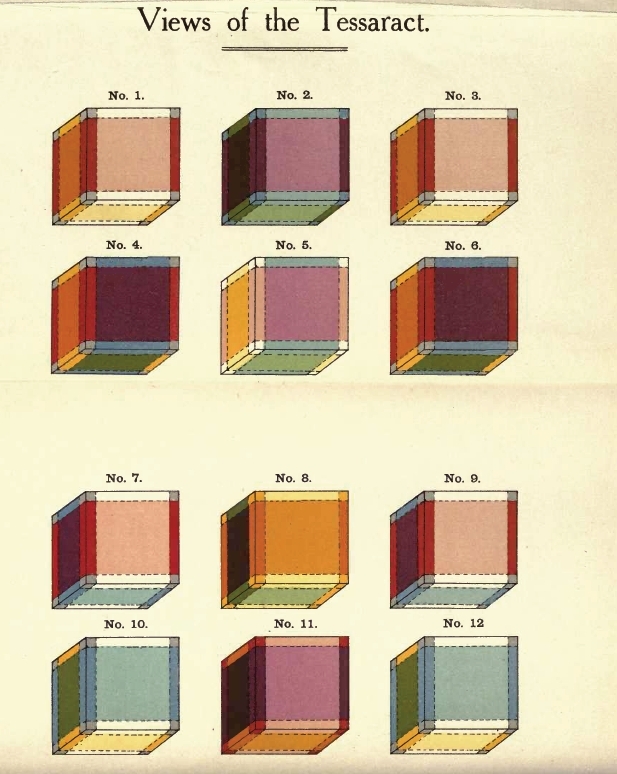 The system described in A New Era of Thought (1888), taking up the entire second-half of that remarkable, visionary text, described cubes with a different colour and name for each vertex, line and face. Relying on description and line drawings it is, unsurprisingly, fiendishly complicated. By 1904’s The Fourth Dimension he had developed a system of ‘catalogue’ cubes and plates to enable a more step-by-step working through of cubic training. There are also many more and far clearer illustrations in this text, so this is the version I’ve followed. I used model paints of the kind you use to paint Airfix aeroplanes. As a newbie to this game this process caused me more problems than you might imagine. For example, metallic paints sound exciting in the shop – wooh-hooh, electric pink! – but they are more liquid, don’t necessarily look all that great on wood, and can even look largely indistinguishable from lighter, non-metallic shades. Also, on which side do you rest a painted cube to dry? I never discovered the answer to this gnomic poser so my cubes are slightly messy. But hey! They’re my cubes – and they don’t need to be perfect. 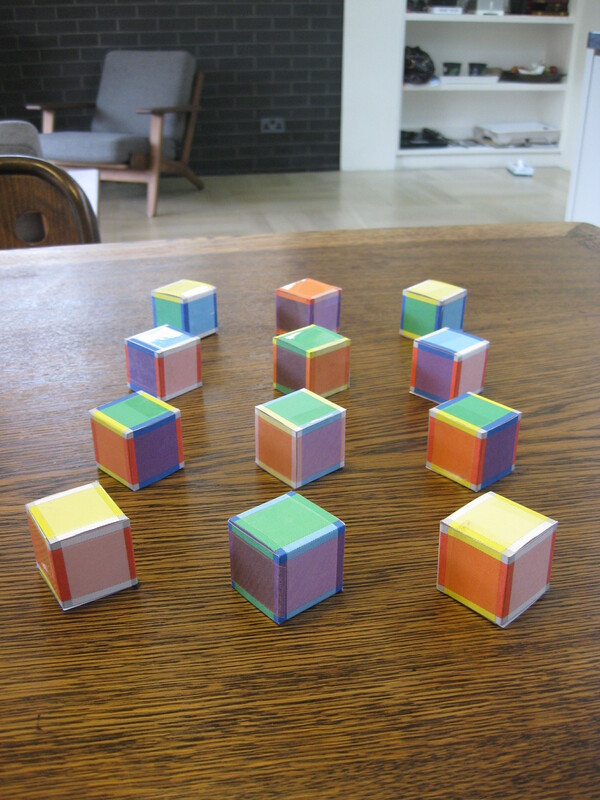 After the set of 81 coloured cubes there are the catalogue cubes. These are coloured to distinguish vertices, lines and faces and the fold-out colour-plate at the front of The Fourth Dimension shows how they should look. As you can see, painting lines a fifth of an inch proved beyond me, either freehand or using tape to mask off. In the end I decided to print out coloured nets of the cubes onto card and cut these out and tape them together. Again, slightly imperfect, but I think they do the job nicely. 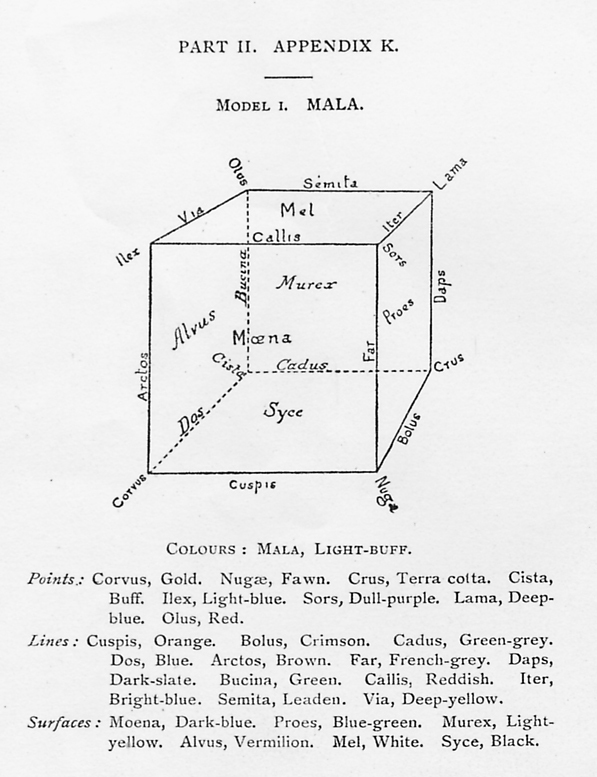 There are also coloured slabs, to aid you in thinking like a plane being, as you will be asked to do in the first chapter of exercises, ‘Nomenclature and Analogies Preliminary to the Study of Fourdimensional Figures’ (pp.136-156). These I printed out on card aswell. I’m going to break these posts up into a series in case anyone wants to join in so I’ll begin with the exercises in the next post sometime in the next week or so. In the meantime, an observation (owing entirely to Dr. Caroline Bassett who pointed it out to me at Weird Council, the China Mieville conference) that will be useful in understanding what’s to come. If, like me, you have about 50 pairs of 3d glasses sitting around the house because you have to buy a new pair every time you go to the cinema to watch Matt Damon Running Really Fast! 3D!, break a set out and take a squizz at the coloured plate above. Your colour-coded anaglyph glasses will be doing all kinds of funky things to the projection diagrams of cubes. Hinton intuitively recruited a colour-coding system to suggest the qualium of an extra dimension of space, which is kind of how we trick out puny brains into registering three dimensions when we drool at a FLAT screen for 90 minutes watching Matt Damon running really fast. So, ponder that then get thee to a modelling shop (where the staff will be perfectly used to people using the archaic form of the vocative in that way and will possibly be dressed like hobbits).